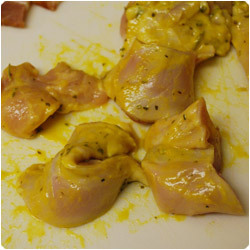 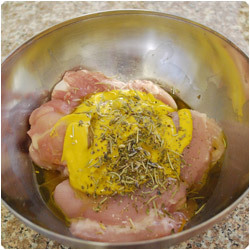 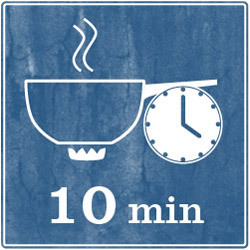 Cut in small pieces the chicken breast (3x3cm) and place them in a bowl with the mustard and the spices (oregano, bay leaves, rosmary, pepper). 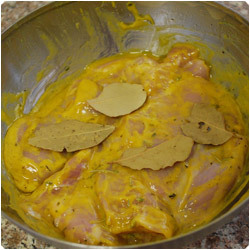 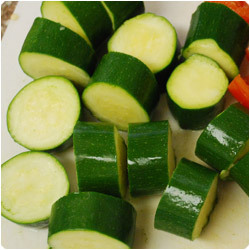 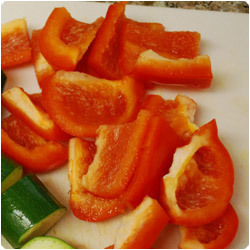 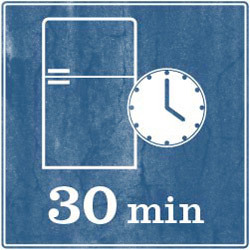 Cover it and let it marinate in the refrigerator for half an hour at least. 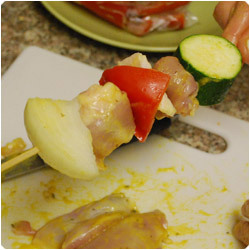 In the meanwhile cut the zucchini, the red pepper, the onion and the bacon. 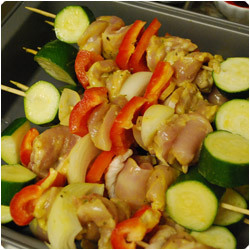 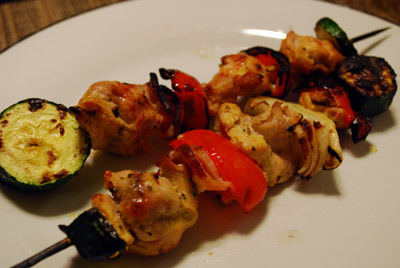 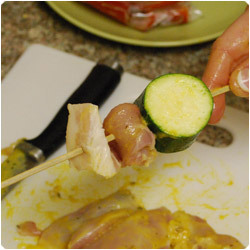 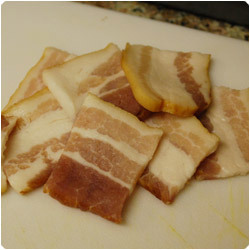 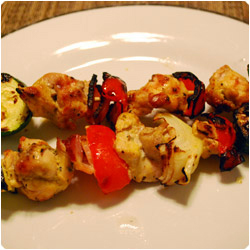 Make the skewers: for each wooden stick alternate one piece of vegetable and either one piece of meat or bacon. 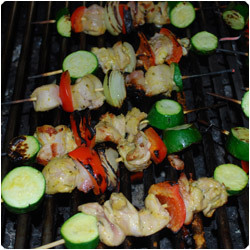 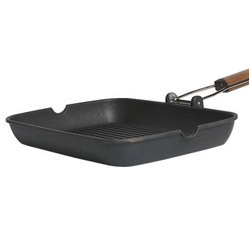 Once you are done, warm up a grill or a grill pan and cook them both sides until the meat is cooked.